Dentition of Ekgmowechashala and potential relatives. A) Tarkops; B) Tarka; C) Tarkadectes; D) Macrotarsius (omomyid); E) Ekgmowechashala; F) Ellesmene (plagiomenid); G) Plagiomene (plagiomenid); H) Cynocephalus (the living colugo), from Ni et al. (2010). 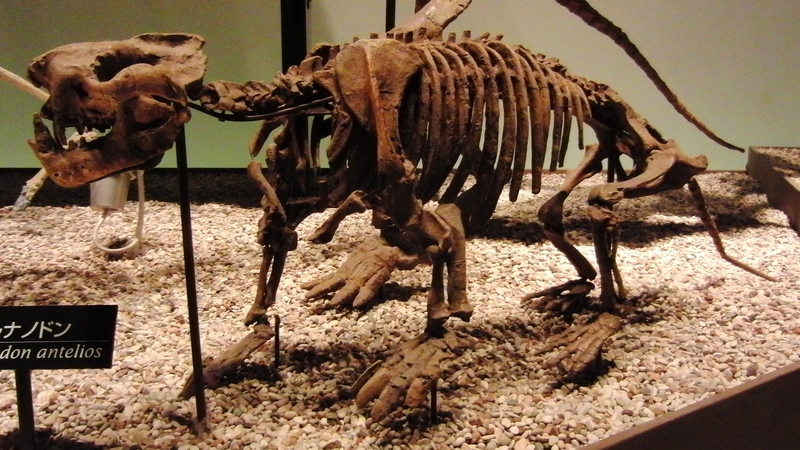 Primates and their plesiadapiform relatives, which had been numerically abundant members of mammalian faunas in North America for much of the preceding Paleocene and Eocene epochs, appear to wither and die off before the end of the Chadronian Land Mammal Age*, as climates took a sharp turn from the equitable times of the Eocene toward the “snowball Earth” of the Oligocene. However, a few stragglers appear to have hung on. These latest surviving primates in North America (spare much later dispersals of platyrrhines from South America) belong to the sparsely represented but apparently geographically widespread genus Ekgmowechashala. A New Transitional Anthropoid from North Africa? Readers might recall from our discussion of afrotarsiids that some paleontologists now incorporate this group within the radiation of mostly Asian stem anthropoids known as eosimiiforms. 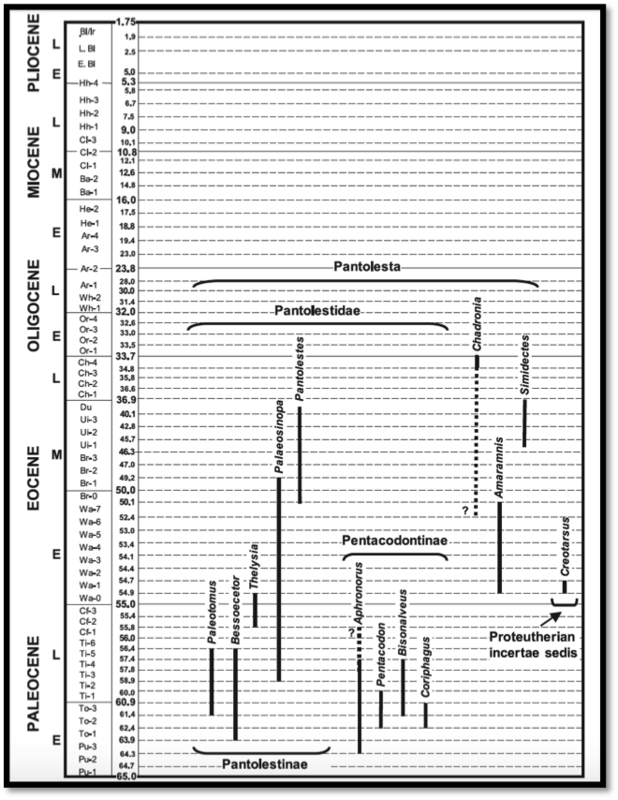 Well, in July, several members of the same team that discovered the early afrotarsiid fossils described a new putative early anthropoid from the middle Eocene (~40 Ma) of Tunisia (Marivaux et al. 2014). 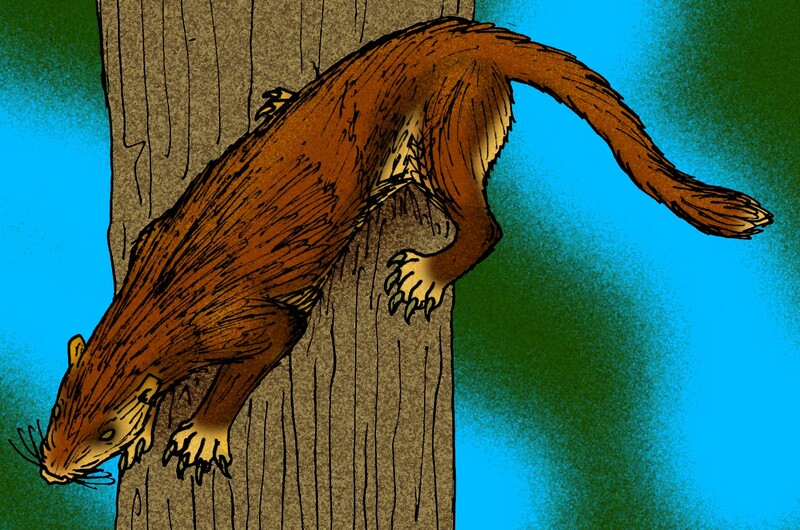 They further suggest that this fossil may represent a transitional form linking eosimiiforms and the simiiform radiation of crown and advanced stem anthropoids. Non-Primate Interlude: Echolocation in a Primitive Ungulate? Let us take leave of our fine Order for a post and look across the tree at some intriguing new (-ish) research on the primitive stem ungulate Hyopsodus. The paper, “Digital cranial endocast of Hyopsodus (Mammalia, “Condylarthra”): A case of Paleogene terrestrial echolocation?” appeared in 2012 in PLOS One, and describes new CT scans of a well preserved Hyopsodus lepidus cranium, AMNH 143783, with a fairly complete reconstruction of the endocranium that can be compared to known endocrania of other early ungulates. This week we’ll return to our look at the fossil record of tarsiers and their putative relatives with a much more controversial group of primates, the afrotarsiids. 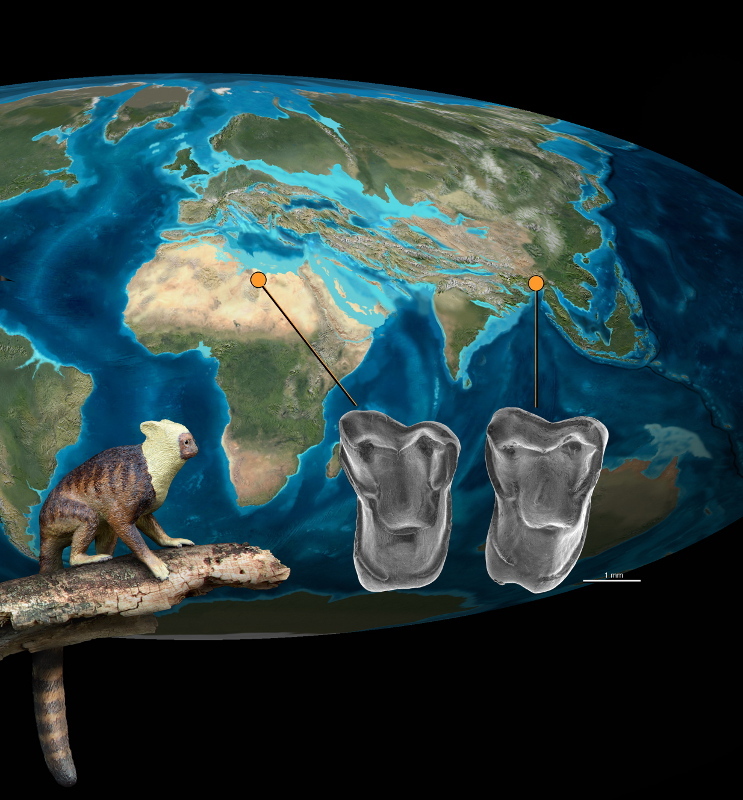 This group of three known species was first assigned to the tarsiidae, but is now often argued to represent a group of early stem anthropoids. For my overview of the certain members of the Tarsiidae, see Part I. 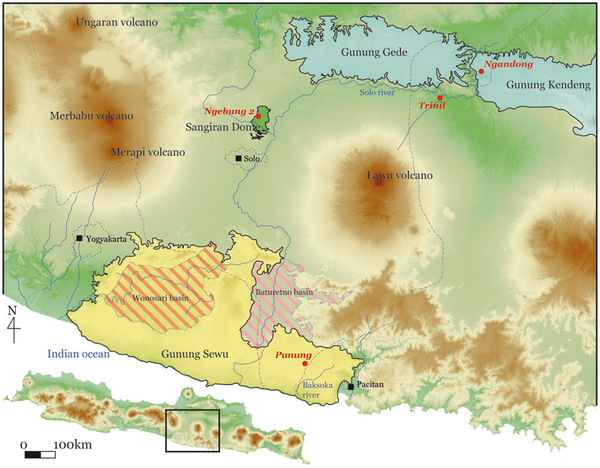 If the distinguished reader confesses much familiarity with the history of paleoanthropology, he or she might recognize the name “Trinil.” This site, now thought to date to around 1 Ma, was the type locality for the famous Java Man described by Eugene Dubois as Pithecanthropus erectus in 1894. Fossils of other animals collected by Dubois at Trinil have, perhaps understandably, received less popular attention. However, they include the oldest record of primates from island Southeast Asia, a langur Trachypithecus auratus and macaque Macaca fascicularis. 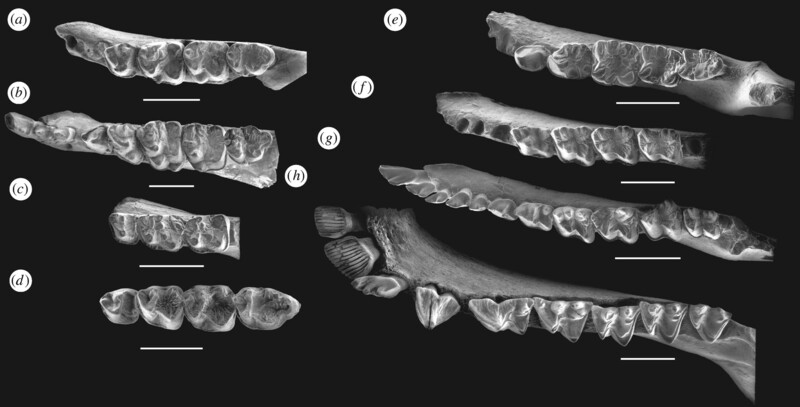 Now, writing in PLOS One, Thomas Ingiccio and colleagues have reanalyzed another specimen of Dubois’s collection from Trinil and report it to represent the earliest evidence of a fossil ape from the whole of Southeast Asia. Let us inaugurate this blogging adventure with some of my favorite primates. 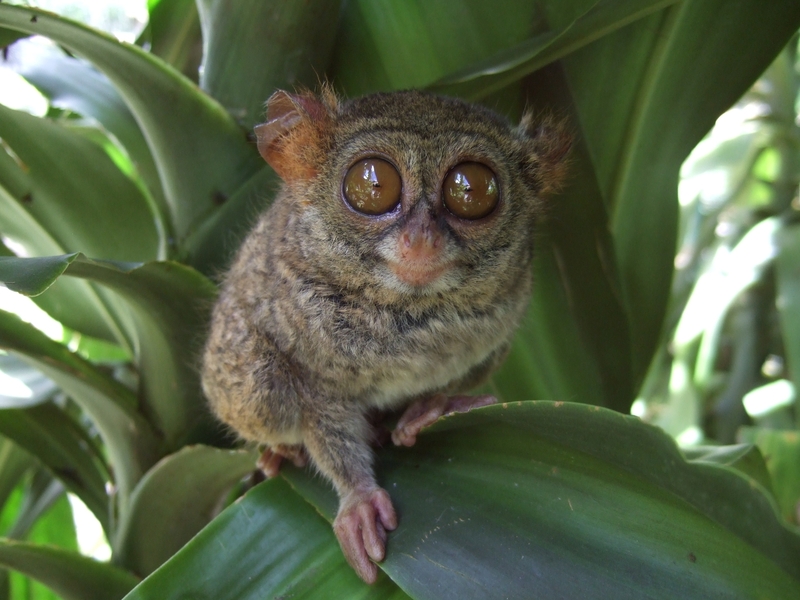 Tarsiers’ unique, derived morphology, possible relationships to anthropoids and the fossil omomyids, and and apparently deep history as an independent lineage make them particularly intriguing from the perspective of primate paleontology.